Welcome to Content Marketing Defined! This is your ultimate guide to gaining a clear and comprehensive understanding of what content marketing is and how you can use it to better communicate with your customers to grow your business. 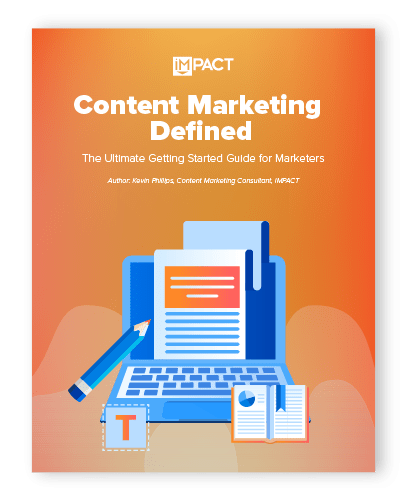 This guide will cover topics such as what content marketing is, what it’s not, the many faces of content marketing, how to get started with content marketing today, and how it differs from other forms of marketing. Are you ready to learn more about content marketing and disrupt the way you’re currently doing business? As IMPACT’s content marketing consultant and resident Alaskan (every great team has one), Kevin spends his days teaching businesses how to develop digital marketing strategies to reach more customers. After growing a small sleep medicine website from 2,500 visitors per month to over 400,000 (and growing), Kevin was recruited by The Sales Lion to teach others how to achieve similar success. 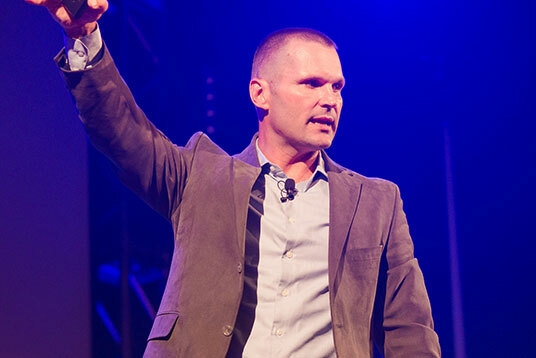 Once TSL merged with IMPACT, Kevin began sharing his expertise, insights, and dorkiness with IMPACT’s audience and clients. Chapter 1 First, Why Content Marketing? Chapter 3 What's In Your Content Marketing Toolbox? Tell me if you’ve ever experienced a situation like this. Back when Eminem was the biggest pop star, The Sopranos was the best show on TV, and America Online dominated the internet, I bought my first car. I had moved from Alaska to Oregon to work at a snowboard resort for $6.50 an hour and a season pass. I needed a vehicle that could get me up and down Mt. Hood every day through heavy snowfall for work and play. I knew nothing about cars; I only knew the problem I needed solving. I had a friend drive me into Portland, Oregon, to a used car lot in search of the perfect vehicle for my situation. I was greeted fairly quickly, but also a bit reluctantly (due to my age and perceived cash flow), by a used car salesman. "I need a dependable vehicle that can handle a heavily trafficked mountain road through rain, sleet, snow, and ice." I told him I could go as high as $2,000. He took me for a test drive in what is arguably the ugliest station wagon you’ve ever seen. It wasn’t going to turn any heads (at least not in a good way), but he promised me it could get me anywhere I needed to go. During the test drive, he had me stick to residential roads near the dealership. Twenty-five MPH was the top speed I was able to hit. I wanted to get it out on the highway, but he seemed insistent on getting back to the dealership quickly to talk terms. At the dealership, I attempted to haggle on the price a bit. He entertained me some by giving me the old, “Let me talk to my manager,” as he stepped into another room for less than two minutes. Not being an experienced negotiator at all, I practiced what a buddy coached me to say. He called my bluff, and I forked over the cash. As soon as drove off the lot and got onto a highway up to 55 mph, I noticed the RPM tack was slipping a little. Two days later the clutch went out, and I had to spend a couple hundred more dollars replacing the flywheel --not easy to do on a minimum wage budget. I felt cheated. I had been duped. He must have known there was a problem with the clutch and had kept me off the highway so I wouldn’t notice the problem. Everything I knew about that vehicle I had learned from the salesman. With no other resources at my disposal, I was forced to take him at his word that this car was a good fit for me. Fast forward to 2015, and I needed a new vehicle for my growing family. I was back living in Alaska and wanted something large, safe, affordable, easy to fix, and able to tow a trailer. While the internet was around back in 2001, it wasn’t quite the amazing research machine that it is today. 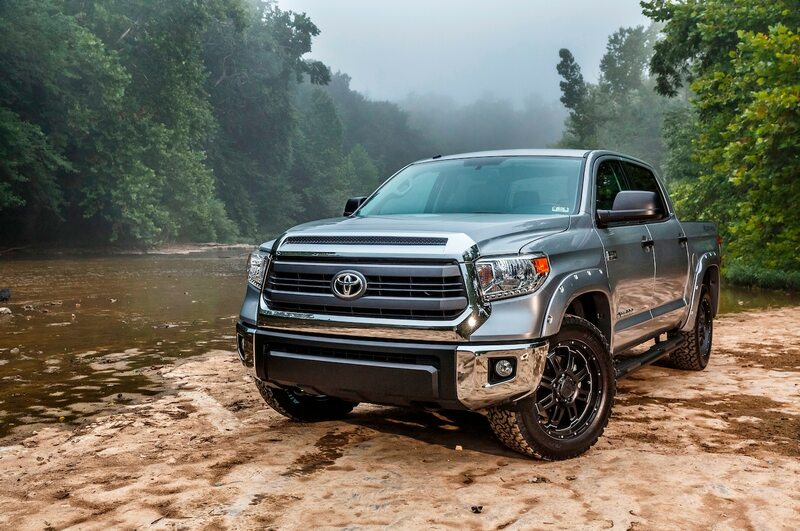 This time around, I was able to study the living heck out of my problem and set my heart on getting a Toyota Tundra. I found a Chevy dealership in town that had a slightly used Toyota Tundra on the lot. I went in, met with a sales rep, took the truck for a drive, and decided I wanted it. When it came time to haggle, he wouldn’t budge on price. I told him I might be back after I drove to the next town’s Toyota dealership. An hour later drove off in my new truck. I not only got the dealership to knock $4,000 off the sticker, but I also got the windshield replaced, a lifetime of oil changes, and an extended warranty at no additional charge. "Kevin, Why Are You Sharing Car Buying Experiences With Me?" When I bought my first car in 2001, I was at the mercy of that salesman. He had all the knowledge and he was able to pick and choose what he wanted to share with me. I was a young, uneducated buyer; he chose not to share any of that knowledge with me. Back then, if you had a question you weren’t able to ask Google, Alexa, or Siri for help -- you might have "Asked Jeeves," but I didn’t know him. Also, there was no Facebook, Twitter, or Reddit to crowdsource your answers. And there definitely was no YouTube for YouTube tutorials. Heck, Wikipedia had launched, but most of us didn’t even know about it yet. Instead, if you wanted to research a purchase decision, you asked friends and family first. If you were really digging in, you’d go to a library. Savvy internet users -- which were few and far between -- might be able to find pages or use AOL chat rooms to ask around. Too often, you were stuck getting all your information from the salesperson you were buying from and had to trust they were being square with you. It sucked. We now have access to the same information these sales folks have. The power dynamic has shifted. We no longer have to rely on the transparency of the guy selling us products and services, we can look up the information ourselves. We can dive as deep into any topic we want and gather all the information we need to make the best purchase decisions for us. Salespeople are no longer the gatekeepers of information. It’s a great time for consumers. So, how can businesses adapt to this shift? What is the best way for them to communicate with today’s sophisticated consumers? Rather than continue to play your cards close to your sleeve or rely on misleading advertisements, it’s time to get honest. And this is where content marketing can help you attract, educate, convert, and close happy customers. Consumers are wary (and weary) of brands, salespeople, and advertising that only promote the attractive elements of products and services. They’ve grown tired of being misled, shortchanged, or flat-out lied to by those selling them products. So, where are they turning to for information about products and services they need and/or want? They’re going online and learning from third parties. They’re reading blog articles, watching YouTube videos, and listening to podcasts created by other consumers that are aimed at educating rather than pitching; teaching rather than selling. Even though most of you reading this are marketers, salespeople, and business owners, you’re also consumers. While you spend most of your day pitching and selling products for your company, you’re also making purchases weekly -- or maybe even daily. Aren’t you sick of making a purchase based on false promises only to have the brand blame you for your ignorance? 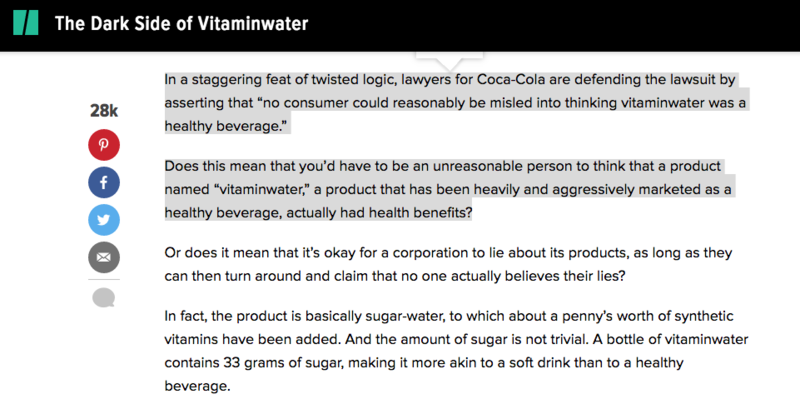 Wow, Coca-Cola, we are so, so sorry. We trusted you when you preached what your product could do for us -- how silly of us! We should have known it wasn’t anything more than overpriced Kool-Aid for grownups. 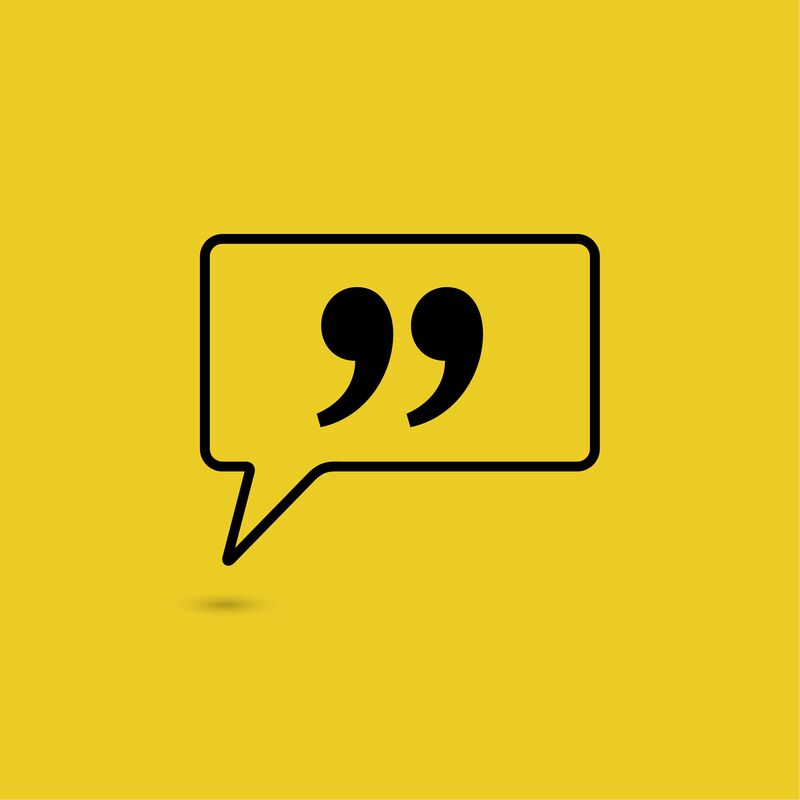 First, content can be defined as “something to be expressed through some medium.” For marketers, that thing we need to express is information about our products and services. The mediums we use include written articles, videos, infographics, images, social posts, and so many more that we’ll discuss in later chapters. ...pump the breaks a bit. If the video’s goal is to promote your product or service, it’s not content marketing. The key to defining content marketing is that the information you’re presenting is valuable and relevant to your audience. Promotional content is just that, it’s meant to promote a product, to express only the benefits, uses, and awesomeness of the product. But How Often Is Content Valuable, Helpful, & Relevant? Does a piece of content help your prospects solve problems? Does a piece of content help consumers make the best well-informed purchase decision possible for them? Even if they decide to go with another vendor? 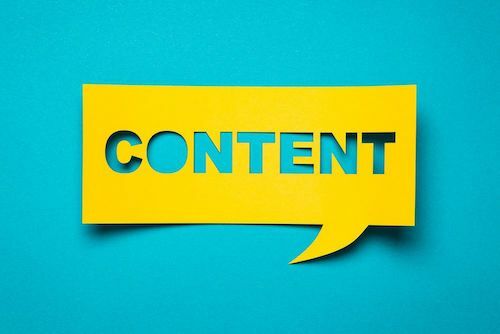 Content marketing is about producing educational content with the goal of helping people improve their lives; to arm them with as much information as possible so they make informed purchases. When done right, they’ll make that purchase through you. Of course, as a business, the end goal of content marketing is to make sales. But rather than just selling your products and services, content marketing is about developing trust. When you produce great content frequently, you become a trusted source of information. You become a resource consumers turn to for education on the topics relevant to your field. As long as you’re focused on educating over selling, you will sell more. Consumers want to buy from brands they trust. Become the Wikipedia of your industry, and you’ll grow your customer base. Content marketing is not promotional content. But that doesn’t mean you have to stick to being 100% educational and 0% promotional. That would be terrible. So, what do you do? Try using the 80/20 rule when creating content -- 80% of the content should be aimed at educating your audience and only 20% should be aimed at selling them. It’s okay to let them know you sell the service you’re discussing. Just don’t beat them over the head about it. If you’re writing an educational blog post, you can let them know in the introduction that you sell the service you’re talking about but that your intention is to be educational. The body of the article should be mostly information with as few mentions of yourself as possible. The conclusion of the article is where you can give your pitch. They’ve learned what they’ve come to learn, now what? This is when you can offer your services to them in a way that feels more natural. It takes time for content marketing to bear fruit. Sometimes a couple of weeks. Sometimes a couple of months. Be patient. Content marketing is a long-term strategy that picks up momentum as you go. It’s like the snowball effect. When you first start at the top of the mountain, you’ve only got a tiny little snowball in your hand that you gently roll downhill. But as it starts going, it picks up more snow and more snow -- and, next thing you know, you’ve started a raging avalanche charging downhill ready to bury a poor, unsuspecting village. Content marketing takes a lot of work. You can’t have content marketing without content. And if you’re doing it right, you’re creating high-quality content regularly. Good content takes time and effort to create. So let’s get rolling and start an avalanche. What's In Your Content Marketing Toolbox? "A Carpenter Is Only As Good As His Tools"
I flushed with embarrassment and stood slack-jawed without an answer. I was sure I was about to get sent home before I even got started. Instead, he softened. He lent me some tools but made me promise to invest a portion of each check acquiring new tools -- starting with a framing hammer, tape measure, speed square, razor knife, chalk line, pencil, and a few levels of varying sizes. The essentials. A carpenter without tools is just some guy who's… well, not going to build a house. The same can be said of content marketing. If you’re going to attract more business, you’re going to need a few tools. So, what are the essential tools in content marketing? When most people think of content marketing, they think of blog posts. And for a good reason -- great content marketing begins with creating awesome blog articles that address the questions your audience is asking. That’s the key right there to a high performing blog. You need to write about topics your audience cares to learn more about. Rather, when people turn to search engines, they do so for themselves. They care about solving their problems or satisfying desires. Once they start getting value from you answering their questions and being the go-to resource for them, then they’ll want to learn more about you. So, if you want to connect with them, write articles that address their most pressing questions about your industry. You can’t escape it anymore. If you want to be top-notch at content marketing, you’re going to have to produce video content. It's what consumers are consuming and demanding more of. They’re hungry for video content and eat it up like a toddler left alone with a birthday cake. If video content is what’s in demand, you can either meet their expectations or stand by sulking as buyers walk off holding hands with your video producing competitors like you’re a brand that just got friend-zoned. I'm not kidding. But if you don't believe me, fine. I get it -- we just met. Whether you’ve got the budget for high-end video equipment and a studio, or only have the camera on your smartphone available, you’re more than equipped to create video content for your brand. Got something to say but don’t feel comfortable on camera? You might consider starting a podcast. Podcasts are an awesome hands-off medium for people to learn about new subjects. As much as I love to continue educating (and entertaining) myself, I can’t necessarily give my attention to articles and videos while performing tasks like driving, washing dishes, and shoveling snow from my driveway. Podcasts are great tools for consumers to use to learn-on-the-go or multitask while performing other actions. Um, probably people who want to know more about that subject. And who says just because the topic is boring that your explanation of it has to be boring too? Here at IMPACT, we find so much value in podcasts that we have not one, not two, not five, but seven different podcasts. They include Content Lab, Creator's Block, Film School for Marketers, The Hubcast, The IMPACT Show, Inbound Success, and MarketHer. Nick & Stephanie filming the holiday episode of The IMPACT Show. You can shoot your content as a video for your YouTube channel, Facebook Live, or another social platform, upload the audio to iTunes or Stitcher, and boom -- you’ve got yourself two mediums of content to satisfy the different learning styles of your audience. Let’s say you create an awesome blog that ends up on the first page of Google when people search that topic. Visitors come to the content, they read every word, they love it, now what? How do you retain their attention? How do you get them to convert into a lead? By offering them free premium pieces of content. Something of high enough value that they’re willing to exchange some information about themselves (name, email, persona question) for a download in return. 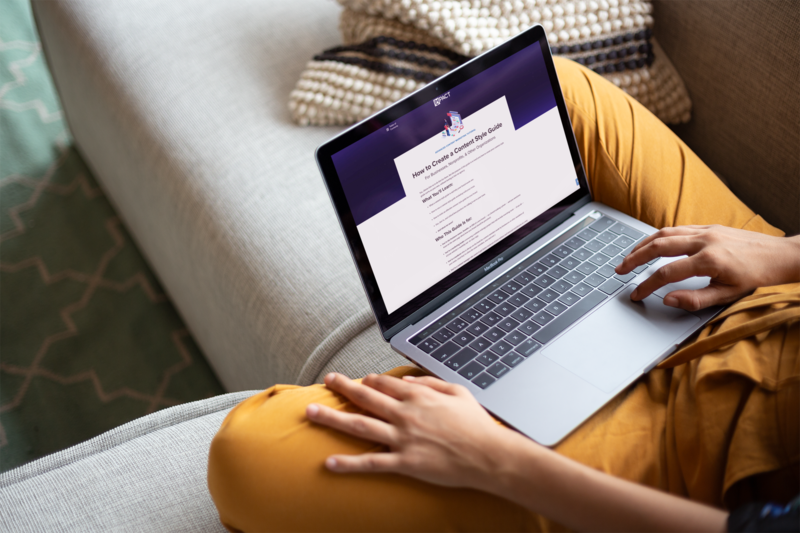 These can be easy to create resources like tip sheets and checklists or comprehensive pieces of content like ebooks, guides, and whitepapers. This guide you're reading right now? It's a premium content offer. Sure, it's ungated -- but up near the top, you'll see you have the option to have a PDF of this guide sent to you. It's optional, but it's there. Premium offers are how you can easily turn anonymous website visitors into contacts that you can nurture through email campaigns to drive them through your marketing and sales funnels faster. 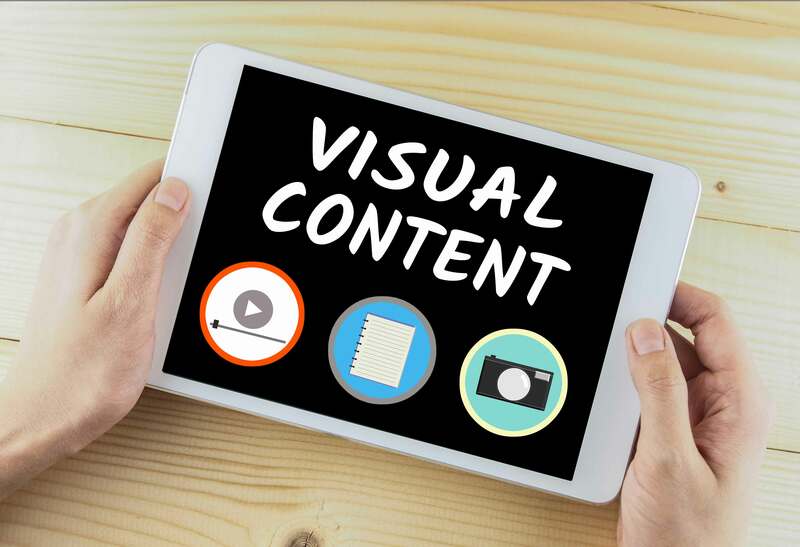 You can use visual content as standalone pieces of content -- to share via social media channels or used as a premium piece of content itself -- or, if you really want to make an impact, you can embed visual content into your blog articles. Pictures, infographics, charts, tables, and more -- when used in blog articles gives more context to the conversation, provides clarity, adds depth, and boosts information retention. In fact, when people hear information, they're likely to remember only 10% of that information three days later. However, if a relevant image is paired with that same information, people retained 65% of the information three days later. Visual content is awesome for consumers because of how easy they are to consume. Many folks on the internet may not have time to read your 3,000-word post comparing several types of riding lawn mowers. But, if you create a quick infographic, table, or graph showing how they compare in various categories, it might be a lot easier for your audience to unpack and retain the information. Think of visuals as the fast food of content marketing -- without the guilt. Sure, it’s not my wife’s locally-famous Hawaiian chicken and rice, but it’s quick to consume, filling(ish), and easy to share with others. The same way I share fries with my dog when my wife’s not looking. In fact, infographics often have the highest opportunity for many businesses to experience viral success. #1: Whenever possible, use original visuals. #2: If you don’t have original images, stock images can work in a pinch, but always make sure you have permission to use the content. #3: Keep an eye on file size. Large images can bog you down and make your pages load slowly. People are impatient, the longer your page takes to load, the more people will abandon your clunky ship in favor of your competitor’s speed boat. Learn more about how page load time can impact your bottom line. I know, I know -- all these different types of content you’re going to create, buzzwords you’ll need to learn (I really hope I haven’t used to many myself), and tools you’ll need to hone can seem overwhelming. Daunting right? You don’t even own any rope. When’s the best time of year to climb? How do I train for a climb? What kinds of food should I bring? If attacked by a bear, do I fight back or play dead? Not to fear. Let this next section be like your copy of The Scout’s Guide to Climbing All Kinds of Stuff. And How to Fight Bears. The buyer’s journey describes a series of choices consumers make while researching a purchase decision. It’s comprised of three main stages -- awareness, consideration, and decision. You can thank HubSpot for this lovely visual overview. First, people become aware of a problem and begin to research solutions. Next, they consider the various solutions to their problems. Finally, they consider which vendor to purchase from. Understanding the buyer’s journey and the types of content we can produce at each stage will help us better connect with buyers. Let's say you run a sporting goods store and have a target audience segment you like to call "Backcountry Bill." Backcountry Bill is a bit older -- maybe mid-twenties on up. 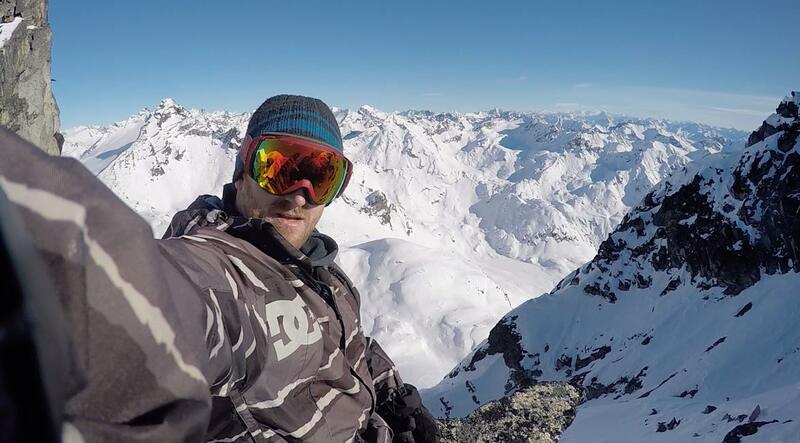 Having grown tired of sharing the resort with large crowds and long lines at the lifts, he yearns to push into the backcountry and carve untouched lines. But as much as he wants to have fun shreddin’ fresh pow, he’s got a family at home and wants to stay safe while still getting dangerous. If you haven’t guessed it, I’m a Backcountry Bill, myself. Now, let's say you want to help Backcountry Bill choose the best equipment. In order to do that, you have to be aware of where Bill is in the buyer’s journey. You’ll want to create content that will help him out at each stage and get him to transition into the next stage. For the sake of simplicity, I’ll focus on blog article topics and premium offers we can create for Bill. The awareness stage is where Bill first becomes aware that he even has an interest in the backcountry. Before Bill starts shopping for backcountry supplies, the appeal of the backcountry needs to hit his radar. The awareness stage is top-of-the-funnel (TOFU), meaning that it can take a lot of time to get people from the awareness stage to making a purchase. It could be as short as a few hours, or who knows, maybe Bill is kind of terrified of the backcountry, and it takes years for him to really decide to get out and explore. For a snowboard retail shop, creating content that brings the appeal of the backcountry would be fitting for the awareness stage. Once Bill is convinced that backcountry snowboarding does in fact appeal to him (probably because it’s amazing), he’ll really start to consider what kinds of gear he’ll need. Which means, you guessed correctly, he’s moving into the consideration stage. But what kind of gear will he need? He’s already read some articles that mention some of the types of gear he’ll need: beacon, probe, shovel, airbag, and other safety equipment. He might have thought he was going to have to buy snowshoes to get out there and throw his board on his back, but then he heard about split-boards. The consideration stage is where folks do a lot of actual research. He’ll closely analyze the different pieces of gear he wants to purchase. Thanks to your amazing content -- go you -- Bill is now moving into the decision stage. He has a pretty good idea of some of the equipment he’s interested in. The decision stage is when Bill will fine-tune his options by narrowing down which pieces of equipment he’s interested in and pick a retailer to purchase from. If you’re the website that is answering Bill’s most pressing questions, how do you think he’s going to feel about you? For one, he’s going to trust you more as an expert on all things backcountry snowboarding. Trust is one of the core tenets of content marketing. The more someone trusts us and turns to us for information, the more they’ll want to buy from us. "Where Do I Start with Blogging?" The 17 blog article topics and premium pieces of content I listed for Backcountry Bill are just the tip of the content marketing iceberg. Similar articles can be written for all of your different audience groups, and there are tons more topics we can write about. So, where do you start? How do you decide which articles to go after first? 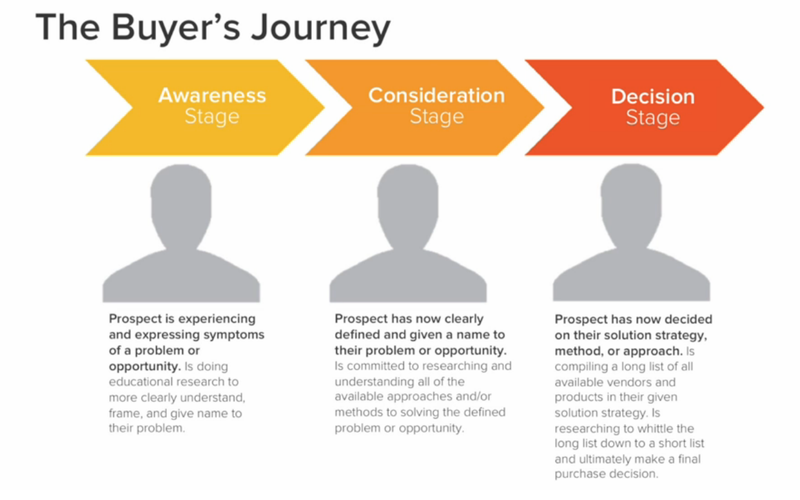 Which stage of the buyer’s journey should you begin with? It seems to make sense, but it’s the wrong approach for a few reasons. First, as mentioned before, people can spend a lot of time in the awareness stage. Bill may dream of riding the backcountry for years before he’s finally able to get out there. There’s more competition at the top of the funnel. These topics are softball topics. There are likely lots of publishers that have written about these topics, so bullying our way to the front of the pack is more difficult. What next? Say Backcountry Bill reads your blog article on Types of Equipment You’ll Need for Backcountry Snowboarding and decides, “Yes, I need an avalanche beacon. But what kind?” Where is he going to go for that info? You’re busy writing awareness content while Bill has moved to the consideration stage. Where is he going to get this information? If you don’t have it, he’s going to look elsewhere. 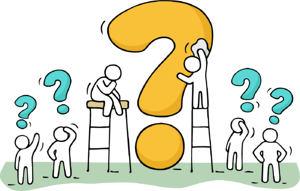 You helped him move from one stage to the next, but Bill has now left you behind for other sources -- potentially your competition -- with consideration stage content. It’s further away from making money. When you focus on the top of the funnel, you’re creating content that isn’t going to lead to sales as quickly. We start at the bottom of the funnel -- at the end of the buyer’s journey -- and work your way back. This way we’ve created content for folks that are much closer to making a purchase. They may have begun their journey elsewhere, but there’s a better chance for us to make a customer out of Bill if we’ve got bottom-of-the-funnel content for him. Also, your competitors are probably focusing on TOFU content because it’s easier to create and less controversial. But they don’t answer the tougher questions. Most companies want to answer those hard questions one-to-one with Bill and a salesman. Let your content be a salesman that works 24/7 for you. Alright, so how the heck can you tell if your content marketing efforts are working? First, you’re going to want to focus on creating high-quality content. How thorough were they in their answers? Then head back to the writer’s room and commit to creating a piece of content that blows the competition away. What does success mean? What are some of those tangibles you can share with others in your organization to prove your content marketing efforts are working and you’re not just writing fantastical stories about dishwashers for an audience that isn’t there? While there are tons of important metrics you can measure, I’m going to list out some of the most important. Is your content getting eyeballs on it? One of the first true markers that things are going well is that people are actually reading the content you produced. Whether they’re finding your content through Google search queries, social media feeds, or within emails, if we’re getting an increase in traffic to our website, it means people are viewing our content. Traffic is great, but converting that traffic to leads is even better. Marketers get excited about increasing traffic, but sales teams rarely care until they have more leads to pursue. Are the folks coming to your website simply consuming the content and then bailing out of there to surf the rest of the web, or are they connecting with you by filling out forms on your pages or engaging with chatbots on your site? If we want to turn anonymous visitors into workable leads, we’re going to need premium content offers people see enough value in that they’re willing to exchange their contact information to ungate that content. When did you first get on your customer’s radar? What content did they end up consuming? How did they end up becoming a lead? How were they nurtured into a closed customer? Knowing these answers can help you fine-tune your marketing and sales funnels. How many keywords do you rank for? How many first page keywords do you rank for? How many keywords are in the top three positions on Google? Do you rank #0 with any featured snippets? Does your business show up often in the Local 3-Pack? What kind of engagement are you getting with your content? Are people sharing it on their social platforms? Are they linking to it from their websites? What are the bounce rates for your pages? What sources are bringing you the most traffic? What’s your email engagement like? Are they clicking on your links? There are so many factors that go into successful content marketing it can seem a little overwhelming. Not to mention, how do you even measure those things? Oh man, you’re in for a treat -- there are tons of resources at your disposal. So many in fact, it can be hard to nail down which ones to start with. For me, the easiest place to start is with the free tools you have available to you. Google Analytics should be the first place you turn to review your metrics. It’s the best tool to learn more about where your audience comes from -- both by traffic source and where they actually live. How many visits to your site are you getting? How much of that traffic is new vs returning traffic? How many average pages are being viewed per session? How long is the average session duration? Where is the traffic coming from by source? What age groups visit your site the most? What percentage of men and women visit the site? What kinds of devices are they accessing your site from? Mobile, desktop, tablet? What pages are getting the most traffic? How long are people staying on the site? How long are they staying on individual pages? What is the bounce rate for your site overall? What is the bounce rate of individual pages? What pages are converting traffic? These are just some baseline questions you’ll want to answer. Dig into Google Analytics and you can get lost for days as you learn more and more about the people visiting your site. If you’re a local business (like my imaginary snowboard shop), Google My Business (GMB) is one of the most important tools you can use. 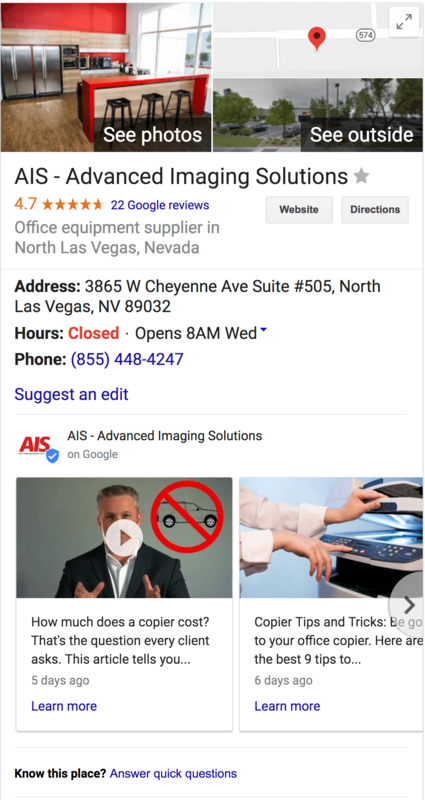 Have you ever done a search for a specific local business or entered a query containing “near me” like “copier companies near me”? If so, then you’ve probably encountered the "Local 3-Pack" listings above the organic content and/or a knowledge card off to the side with important details about the local business you just looked up. Here’s my article on Google My Business best practices, if you’re unfamiliar with it. If you are familiar with it, what should you be measuring? Direct searches of your business name? Discovery by searching your business type or services -- those “near me” searches? Through a Google Maps search? What actions did they take after viewing your knowledge card? Did they view your photos on your card? Did they view or click on a post, offer, or event you listed? Did they leave a review? Google Search Console (GSC) is another amazing free tool every content marketer should be familiar with. 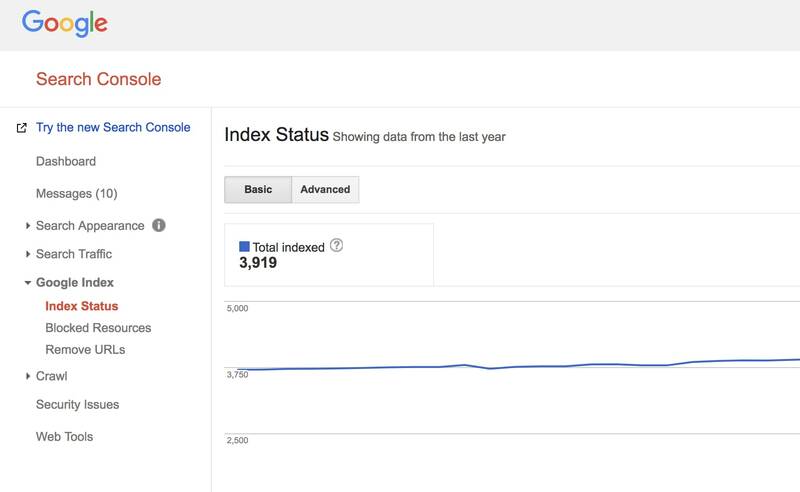 If you want a behind the scenes look at how Google views, indexes, and ranks your site, this is the tool you need to dive into. What are the exact keywords people have entered in a Google search query that Google has you indexed for in their top 100 search results (impressions)? What position do you hold on average for these keywords? How many clicks have you received from those keywords? Which pages get the most impressions and clicks? Does your site have any broken links? Does your site have any pages Google’s bots are not able/allowed to crawl? Which websites link to your own website? What anchor text do other websites use to link to your site? What external websites do you link to from your own site? What internal pages do you link to the most? Are there any issues with the mobile version of your website? You can even submit a sitemap so Google can better crawl your website. Content marketing in action -- watch out, Scorsese! The company recognized the value in video marketing and wanted more than just a writer for producing content. 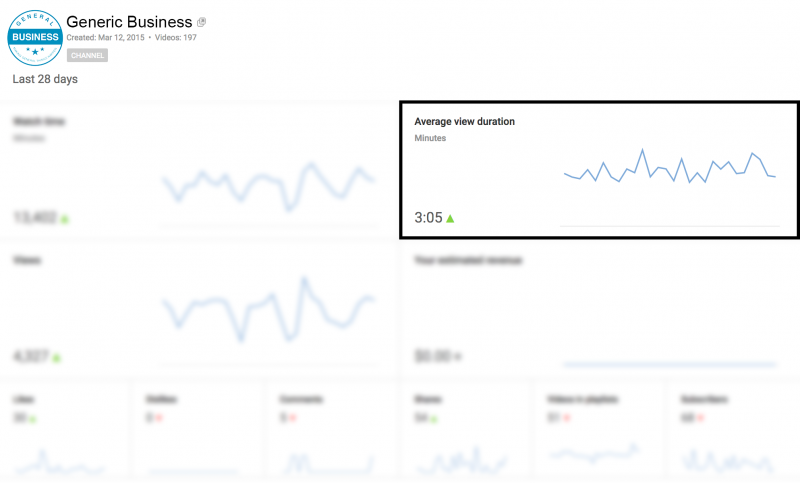 While there are freemium and paid tools out there like Vidyard, Wistia, Vimeo, and more, we’ll focus on YouTube Analytics, since it’s free and accessible. How many views do your videos have? How many people subscribe to your channel? What is your subscriber rate over time? How much watch time do your videos have? Are people replaying your videos or sections of them? What sections of your video are people leaving? What demographics is your audience composed of? What are people saying in the comments section? What’s the number of likes and dislikes on your videos? What keywords do your videos rank for? 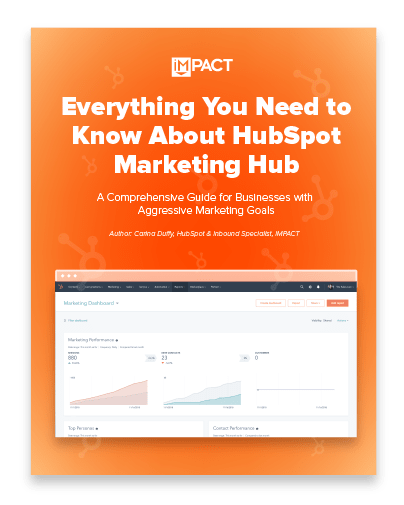 HubSpot Marketing Hub is the only paid tool I’m putting on this list since it’s one we use ourselves and encourage most of our clients to use. 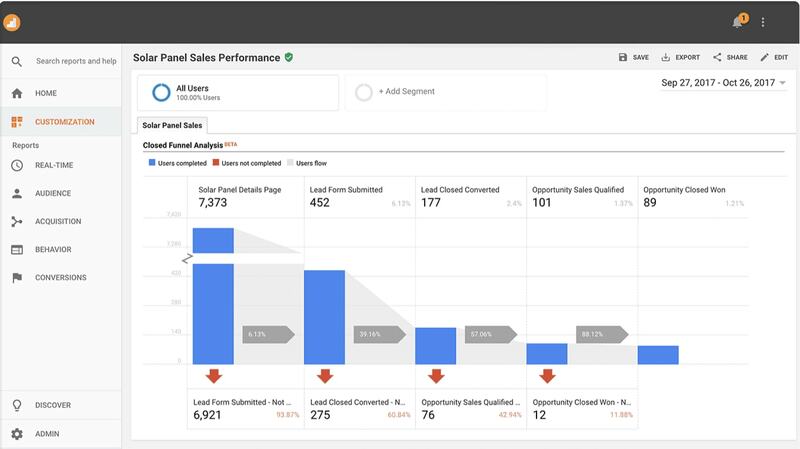 HubSpot is a tool that is useful at all stages of the buyer’s journey and sales funnel. 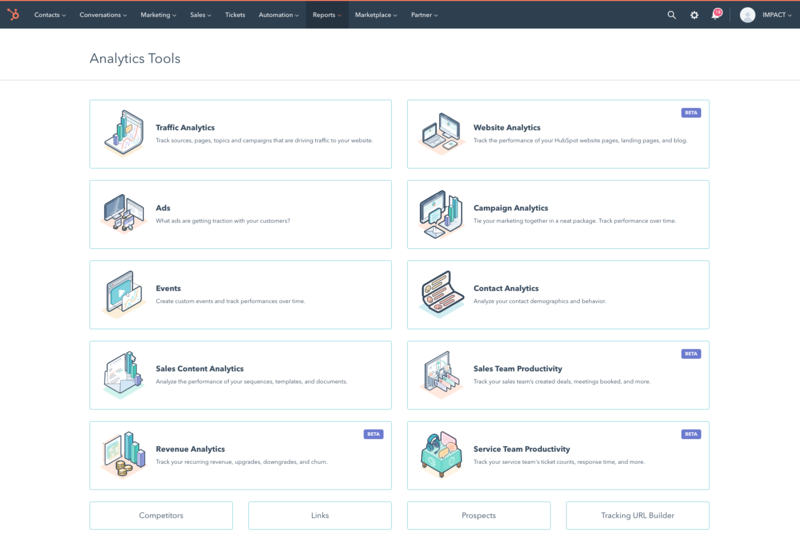 From its content management system (CMS) where you can create blog articles and social media posts, to the customer relationship management (CRM) system, where you can capture and nurture leads, HubSpot is hands-down one of the best marketing automation platforms on the market. 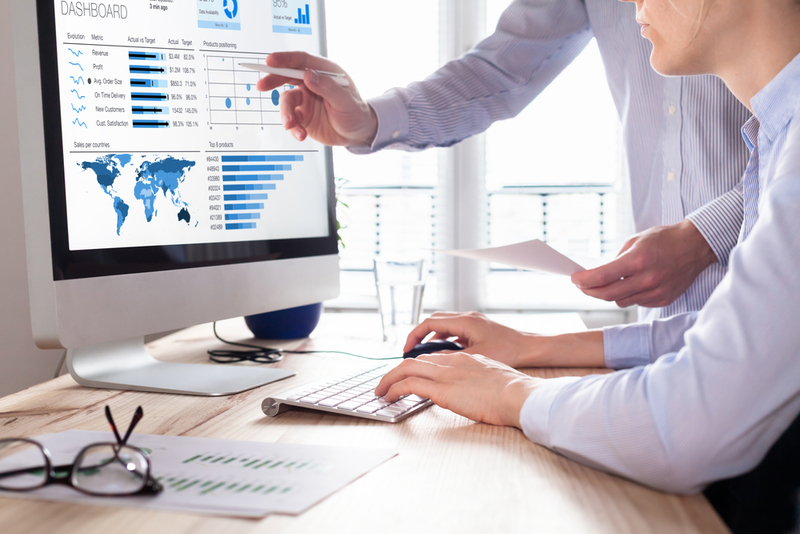 The vast majority of metrics you can glean from Google Analytics you can also get on HubSpot -- although there are some really important ones like demographics, device types, and locations of users that you can’t. HubSpot is such a large and all-encompassing tool, that it would take forever to list everything it can do. If you want to learn more, I highly recommend reading our ungated guide about HubSpot marketing. If content marketing is a full-on expedition up Denali, then pay-per-click (PPC) is renting a helicopter for a quick trip to the summit. The view from the top is the same, but one was earned through solid work and effort, and the other was paid for. With both content marketing and PPC, we want our content to appear on the first page of a search, but each takes a different path. With content marketing, you create the best answer to a given search -- scaling the mountain by hand. With PPC, you skate past all that pesky hiking and climbing by booking a chopper. PPC takes significantly less time to enact. Af first, it might sound appealing to just buy a ticket. Why not skip all the mosquitos, sharp rocks, and hand-dug latrines for a trip you can do in your house slippers? With PPC, you have to pay for each heli-ride back up. And helicopters are a lot more expensive than a tent, camping gear, and rope. Unlike PPC, each trek back to the top with content marketing gets easier. As you climb, you’re widening the path, packing the trail, and building stairs. Content marketing has true staying power. I’ve written articles several years ago that you can still find at the top of a search engine result. PPC results end as soon as you stop bidding on keywords. Just as people are more likely to enjoy a story about a group of adventurers braving the Alaskan wilderness than the one about a guy who paid for a sweet Instagram opportunity, people click organic search results far more often than they do ads. An average click-through-rate for Google Ads is about 2%. On the other hand, the average CTR for the top organic search results is 29%, and the seventh-seeded result's average is 2.2%. Overwhelmingly, people are drawn to organic results far more than the ads appearing above them. Ask yourself: when was the last time I clicked on an ad? Which Has a Higher ROI? 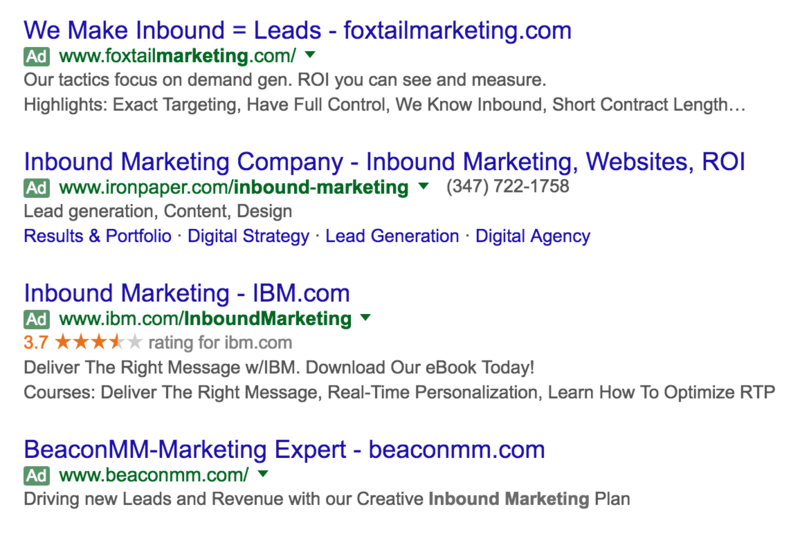 One of the leading questions in the PPC vs. content marketing debate is -- which has a higher return on investment? This is a tough question to answer because, in all honesty, it really depends on the quality of the content you’re producing. It worked for Aquilla Commercial. If you’re doing content marketing poorly, you’re not going to make it to the first page, which means you’re not going to get much of an increase in traffic, leads, and sales. If you’re doing PPC poorly, you might still drive traffic to your site. But if you don’t have strong lead-capturing and nurturing practices in place, you’re going to blow through your budget without any conversions or sales. When both are done right, PPC has short-term ROI and content marketing has a long-term ROI. Can PPC & Content Marketing Work Together? This brings us to an important question -- can content marketing be augmented to support PPC? One of the biggest mistakes I see people make with PPC is that they have absolutely terrible landing pages. They put all their effort into keyword research and eye-catching headlines, but they don’t really consider the experience the consumer is in for. What landing pages are you driving traffic to with your PPC campaigns? Are you even driving traffic to landing pages or are you just sending people to your homepage and leave them to navigate themselves? The least you could do is give them a map and an itinerary. If you’re following content marketing best practices, you can use your high-performing landing pages to give visitors a quality experience. 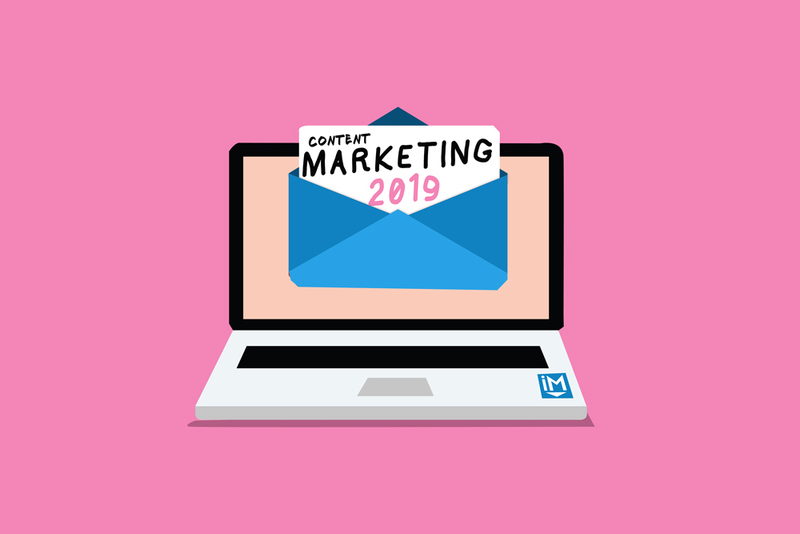 Furthermore, if you’ve developed fleshed out email workflows, you’ve got a nurturing campaign already set in place to help buyer’s through the buyer’s journey. From there, the benefits of content marketing are endless. Now that you’ve read through thousands of words about content marketing, how are you feeling about it? Are you packing your bag, filling your canteen, and double checking your climbing gear before heading up the mountain? Or are you standing there in your tank top, swim trunks, and flip-flops looking at the mountain wide-eyed, wondering how the heck you’ll ever get up there? Don’t worry, this journey doesn’t have to be as daunting as you might imagine. It’s why content marketing agencies like IMPACT exist -- to help struggling adventurers reach the top with professional guidance. It’s why we focus on teaching, guiding, and training companies on all aspects of content marketing; so you can experience a sunrise from the top of the world. And we’ve got two paths you can choose from -- learn from us and be trained by us. Maybe you’re a true DIY trailblazer that doesn’t need a guide up the mountain but needs some advice for getting started. We’ve got tons of that. Have you seen our publication? 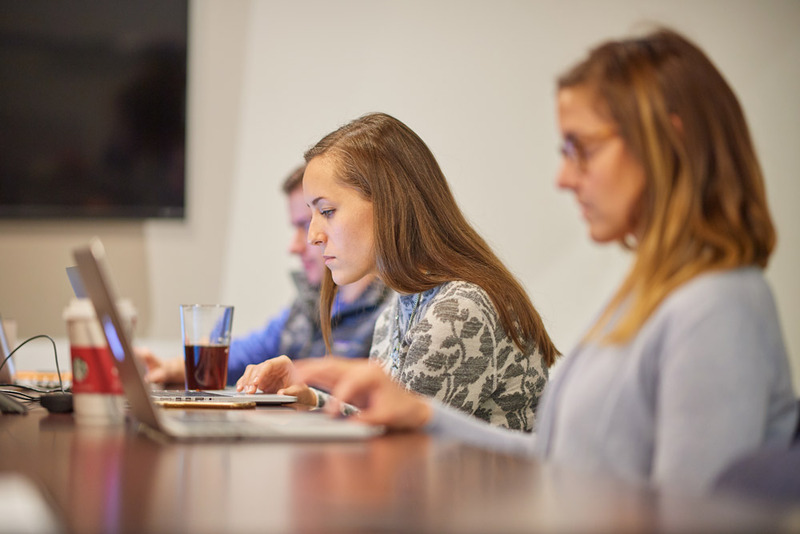 We publish more than 20 articles each week covering a wide range of topics to ensure content marketers and business leaders are armed with the knowledge they need to be successful in a digital world. Everything you need to know to get started with content marketing, improve your processes, and excel in today's digital world can be found on our daily publication, premium content, email newsletter, IMPACT Elite, our podcasts, and YouTube channel. We’ve really got that much information. And it’s all available to you for free. With so much free information at your disposal, it should be a no-brainer to give it a try yourself, right? Why would you ever need to pay for help? Unfortunately, for every content marketing pioneer we meet along the path, we see dozens more young, bright, ambitious explorers whose thrilling adventures turn tragic from lack of experience and guidance. Yes, we have tons of free information at your disposal. But with so much information, it can feel like drinking from a firehose. 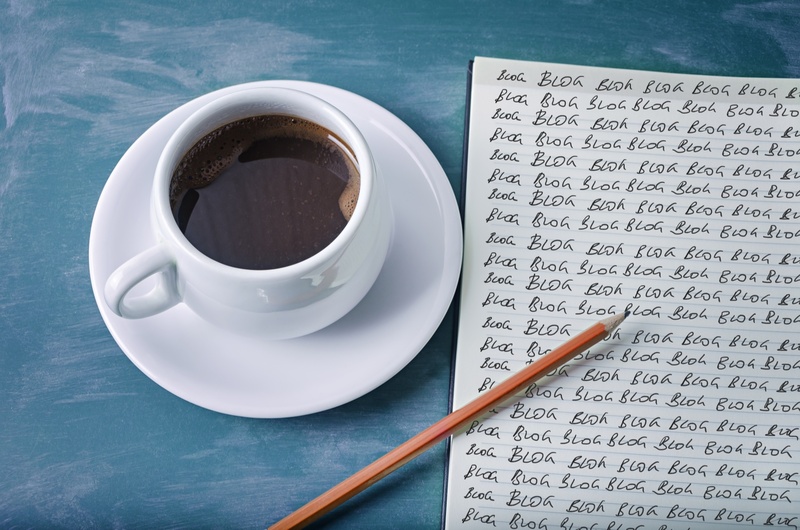 Where do you even begin -- other than with the blog topics I laid out for you above? How can you expertly apply these principles and methodologies to your business? Our consulting services are like having your own personal team of sherpas guide you in your journey. We’ve helped dozens of companies reach the summit. When you work with one of our consultants (like me), it’s like having someone tailor-make all your climbing gear for you. Then, we'll show you how to use it, give you a compass, draw you a customized map of the easiest path up for your hiking style, and walk with you every step of the way. Is Hiring a Marketing Agency Cost Effective? We've come to the end of our journey together in this guide -- but before we depart, I need to address something I said at the beginning when I talked about my experiences in buying cars. I don’t mean to rag on used car salesmen. As a group, they often get a bad reputation as sleazy money-grubbers ready to sell you a lemon for a quick buck. And yeah, some of them are that way. But I’ve also encountered incredibly helpful car salespeople, too. People that really seem to consider their customer’s situation as they help them find the right car. These are the people customers want to do business with. So, why not be more like those guys when you create your content? Let’s pledge to be helpful.